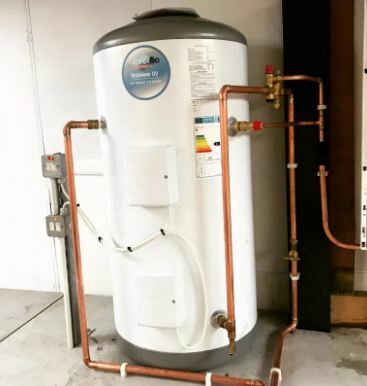 We supply, service, maintain and fit modernUnvented Cylinders, be they swaps from an open vented system, changed back from a combi system to a traditional style install or simply as a new installation using the same heat source our fitters are appropriately licensed and experienced. Unvented cylinder work direct from the mains supply of water, (they could be warmed particularly and roundabout ) and are essentially a bubbling water amassing load, while vented cylinder are related, by methods for a vent pipe, to the crisp water accumulating tank which is for the most part arranged inside the space of by and large properties. Since unvented cylinder are reinforced particularly from the mains supply of water, the water weight and stream is significantly more grounded, giving bubbling water at mains weight to all outlets inside the home. This suggests you not to rely upon a pump to keep up the nature of the stream while using high temperature water outlets or warming structures and uncommon water weight is a gigantic favourable position, especially for homes with more than one bathroom.